To some of you, Linda Regan may look familiar. Born in 1959, Linda was just ten when she first stepped in front of a TV camera. Starring as an ‘Island Girl’, for a TV movie called Carry on Again Christmas, little did she know it would prove to be the beginning of a showbiz career spanning forty years . With movies such as Carry on England, Quadrophenia, and Confessions of a Pop Star under her belt, and household shows like The Bill, On the Buses, Dixon of Dock Green and Minder listed among her TV credits, it was no surprise Linda was soon to become a household name. In 1984 Linda was cast as holiday camp Yellowcoat, April, in the hit TV show Hi-de-Hi! That same year, Hi-de-Hi! won a BAFTA for Best Comedy Series. 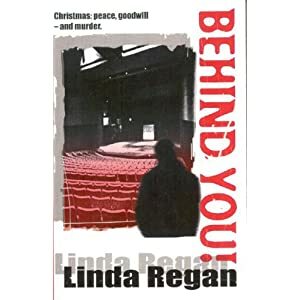 In 2006, Linda turned her attention to writing crime fiction, and Behind You!, a novel set in the world of showbiz, was published. In 2007, she followed this success with Passion Killers, a more raunchy crime novel set in London’s Soho district. 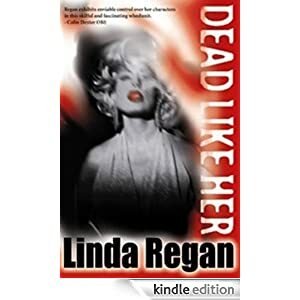 And two years later brought DCI Paul Banham back for his third outing in Dead Like Her. 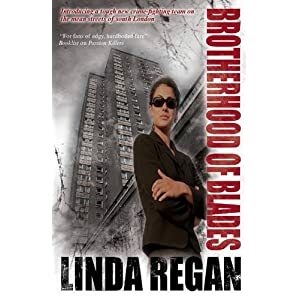 Her current novel, Brotherhood of Blades, was released by Creme de la Crime in September this year. And her fifth novel, Street Girls is due to be released early 2012. 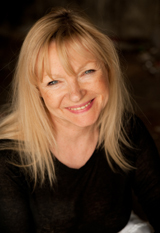 Linda will next be appearing on stage in Simon Brett’s King Lear – The Panto, and is still very active at writers conventions. When not working, she likes to enjoy life with her actor husband, Brian Murphy. So, here’s the ten questions posed. How do you think a lady like Linda answered? Drilling …. brrrrrrr … I’m with her on that one! I did recognise the photo! BBC America and PBS do reruns of every British comedy out there, but Hi-de-hi hasn’t made it yet. Don’t know what they’re missing, campers! Bet she’s got plenty stories from those movies. Linda sounds facinating and that was an awsome 30 seconds. Another great 30 second interview Donna! Although I’m sorry to say that I’m rather unfamiliar with Linda since I live on the other side of the pond. Thank you for bringing Linda to our attention. What to do with us silly Americans? I must go inform the twibe! I believe she was born in 1949 otherwise she was too young to be in the films she claims to have been in. I’ve seen her in a 1970 episode of “On The Buses” and she looks a little bit older than 21 there. So she may well have been born a few years before 1949. One thing is for sure: Despite ludicrous claims on the ever unreliable IMDB, she wasn’t just 11 years old when she played a fully-grown woman who kissed bus drivers in 1970!